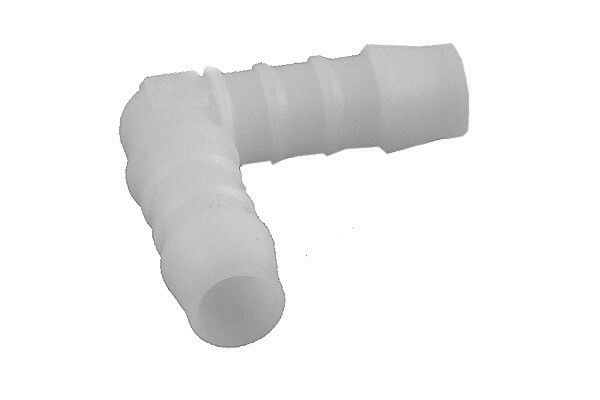 Hose connector for Highflow systems. Connects hoses made from PVC and others (e.g. Masterkleer, Tygon) quickly and safely. Angled by 90° to allow tight radiuses which otherwise would lead to kinks. If the hose has an inner diameter of 13mm no additional fixation (e.g. hose clamp, zip tie) is needed. Compatible to hoses with an inner diameter of 13mm.